If you would like to join HWA as a writer, but have sold only one or two short works, you might qualify for Affiliate membership. To determine whether you meet HWA’s Affiliate standards, please review our Membership Regulations. You may also wish to e-mail our Membership Chairman with specific questions. You will probably need to provide proof of sales in the form of photocopied contracts, check stubs, editorial correspondence, or copyright pages. As an HWA Affiliate Member, you may make recommendations for the Bram Stoker Awards, and will enjoy all the other benefits of membership except the right to run for office (other than Affiliate/Associate Trustee) or vote in elections or on Bram Stoker ballots. If you are a non-writing horror professional (such as a bookseller, agent, illustrator, editor, teacher, or librarian), you should apply for Associate membership. You will need to supply convincing evidence of your professional affiliation in the form of a letterhead, company brochure, web site URL, etc. Associate members may make recommendations for the Bram Stoker Awards®, and enjoy all the other benefits of membership except the right to run for office (other than Affiliate/Associate Trustee) or vote in elections or on Bram Stoker Award® ballots. If you are an established professional writer, you should apply for Active membership. Active members enjoy all benefits of membership, including full voting privileges. To determine whether you meet HWA’s standards for professional writing, please review our Membership Regulations. You may also wish to e-mail our Membership Chairman with specific questions. Dues for individual Affiliate, Associate, Academic, and Active members are listed in the chart below; members joining at these levels receive one listing in the directory and one userID for access to HWA’s Members Only website. See the chart below for current rates. 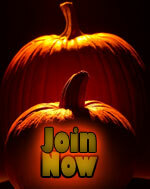 Supporting members receive one userID for limited access to HWA’s Members Only website. Corporate members receive one Directory entry (status is automatically “Associate”) and up to 10 userIDs for access to HWA’s Members Only website. All official street mail is sent to a single specified address. See the chart below for current rates. Family membership holders (up to three members of a family, whose status will vary according to their individual qualifications) each receive separate listings in the Directory and separate userIDs for access to the HWA Members Only website. All official street mail is sent to a single specified address. See the chart below for current rates. TO APPLY BY MAIL, download the PDF application form and print it (you’ll need Adobe Reader), or use your browser’s “Print” function to print out the HTML application form. Got questions? Email the Membership Committee.